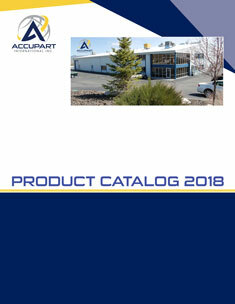 Accupart International, Inc. has been servicing the air brake rebuilding industry since 1948. During these many years in business, Accupart has become well known as a reliable supplier of quality independently manufactured replacement parts. Our coverage extends to include the majority of each brand of air compressors, air valves, air dryers, fan clutches and various other air, vacuum and hydraulic parts employed within the heavy duty transportation industry. These coverages include off-highway, along with some industrial and marine applications. We have been constantly adding new line items to our ever growing component part number range. All of us in this industry are now fully immersed in dealing with a truly global range of manufacturers and their individual part number offerings. Our mandate at Accupart is to remain fully committed to staying on the leading edge of providing what the industry requires. We invite you to work with our direct customer service team, as well as our various representatives throughout Latin America along with our various exporters in order to satisfy any of your air brake and related parts requirements. Our goal is to provide you with the best quality at a competitive price, for all of your air brake and related parts requirements.